PT-46 (No. 1); PT-40 (No. 9); PT-61; PT-48 (No. 3) and PT-45 (No. 2) during commissioning ceremonies at the newly established MTB Base. 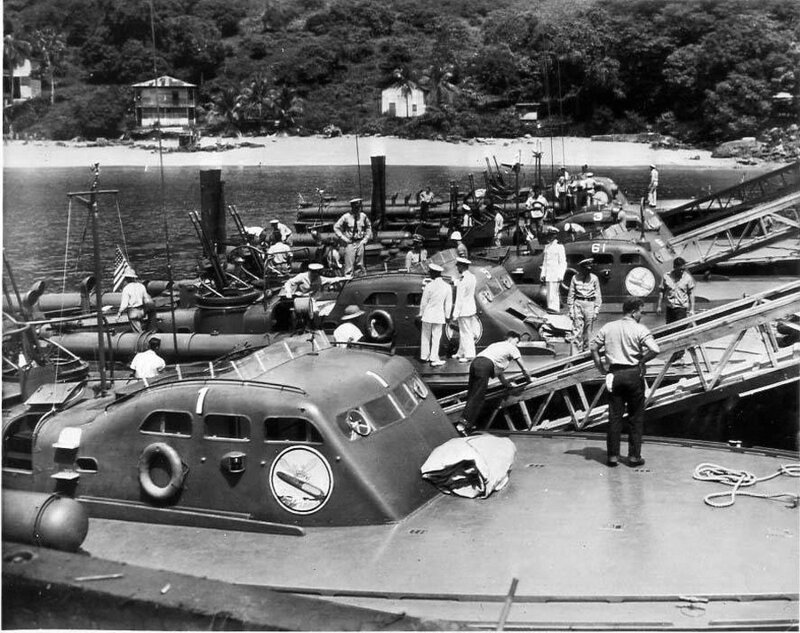 To mislead possible Japanese spies in Panama, and presumably German agents in New York, the hull numbers displayed on the cabins were changed. 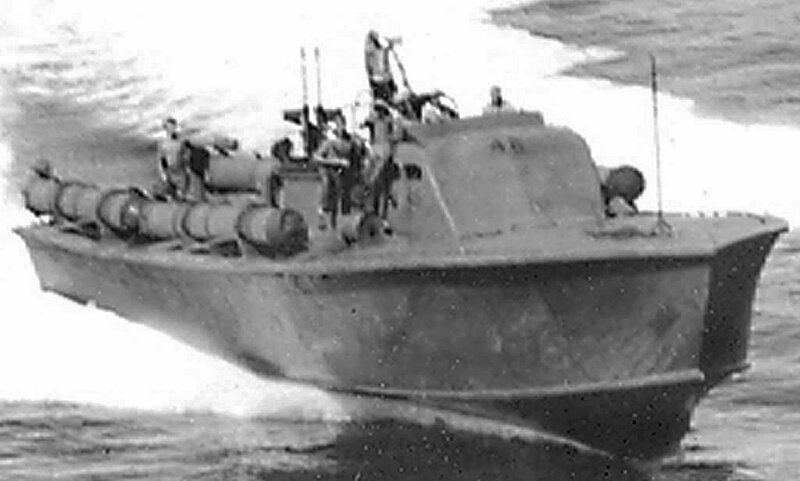 The eleven boats of MTB Squadron TWO were numbered 0 - 10. 63k Jerry Glimartin, MMC, USN, Ret.